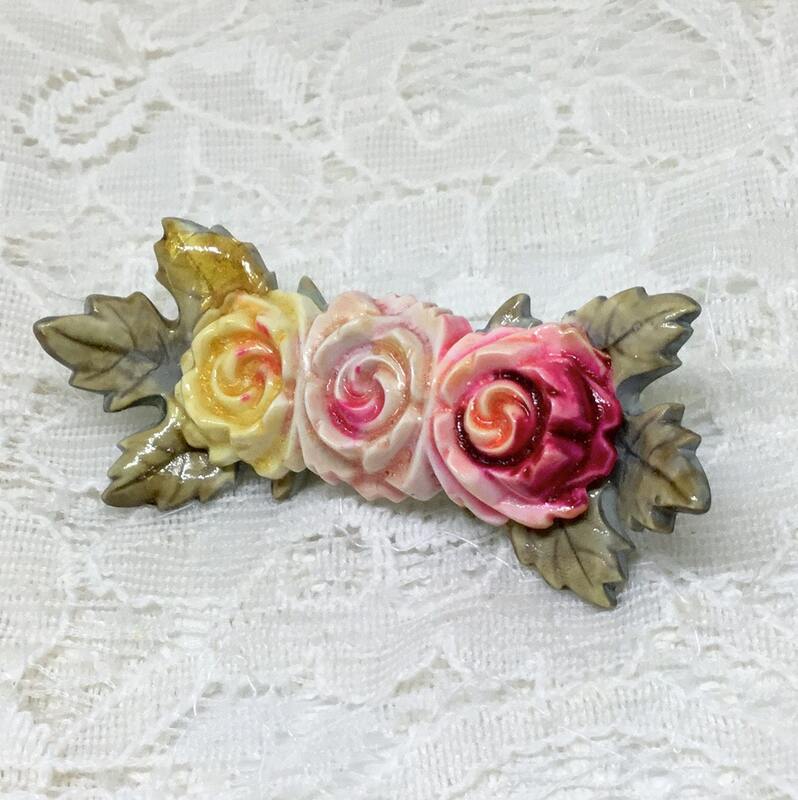 This is a sweet unsigned vintage resin three flowers with leaves brooch. 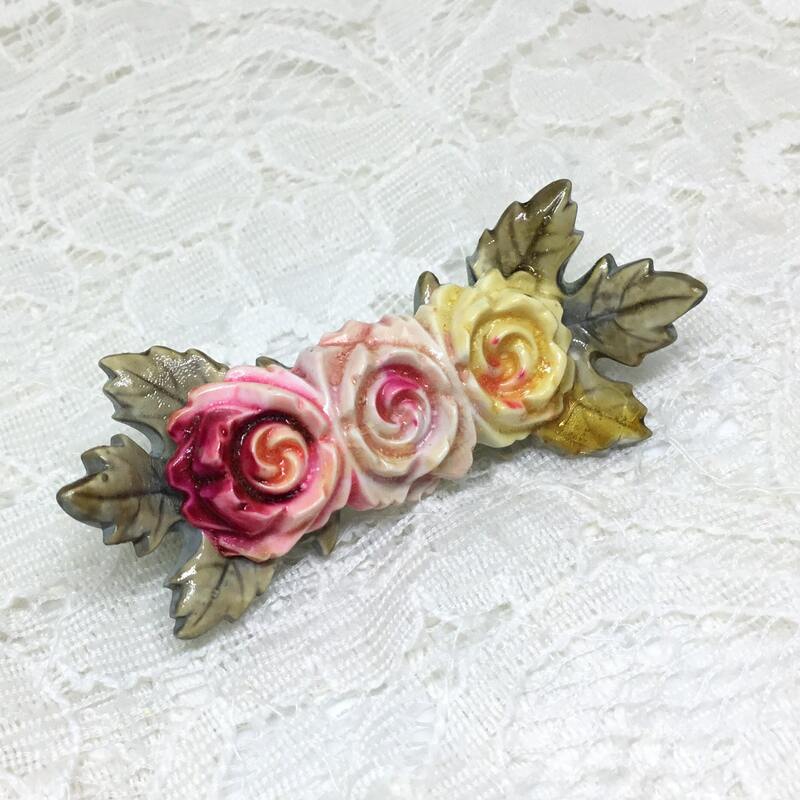 The flowers are yellow, pink, and red. The leaves are green and yellow. 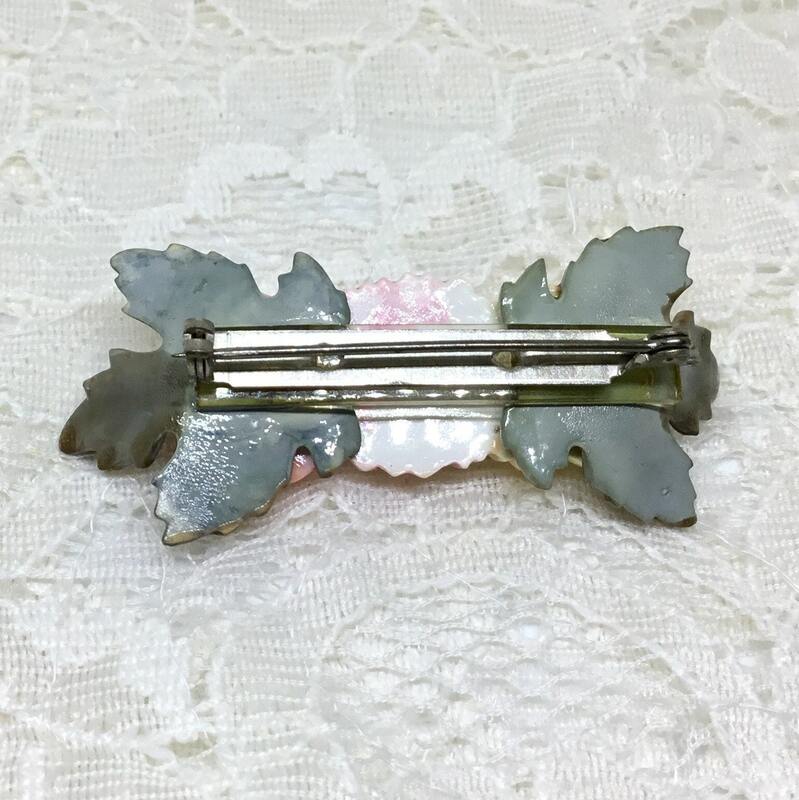 It measures 2 1/4 x 1" and the pinback is straight and works smoothly and securely. 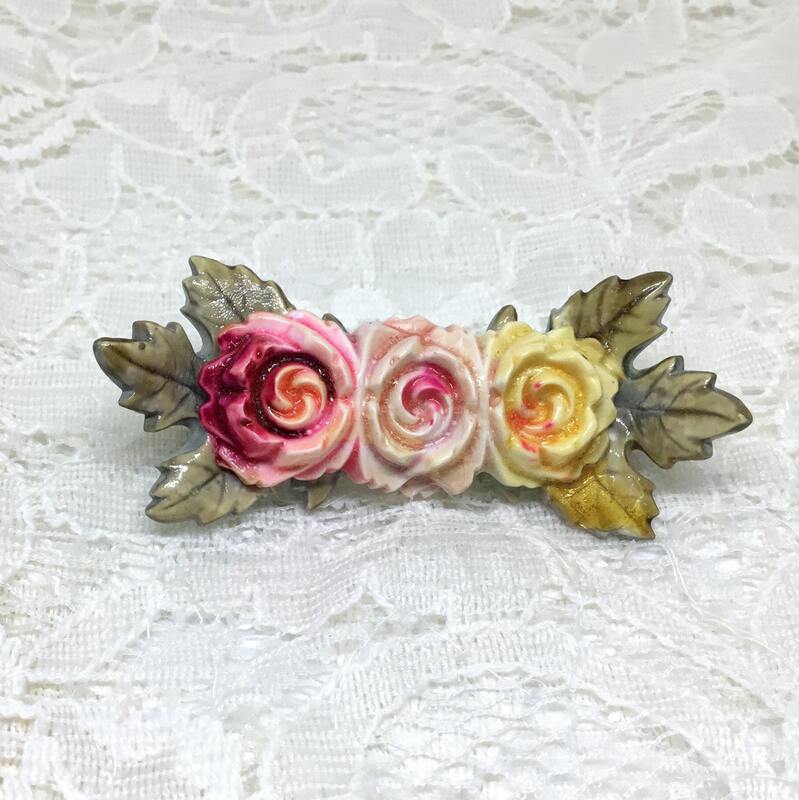 A wonderful brooch that has a floral roses motif...cute on anything from clothing to hats to backpacks!